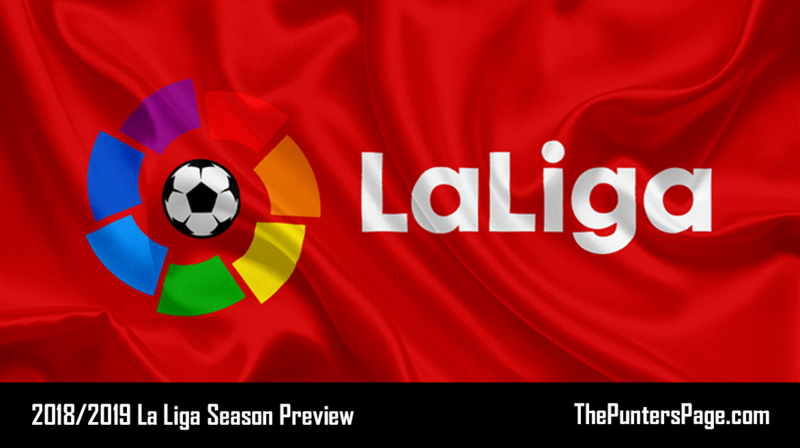 Spanish football expert (@shayconaghan) provides us with an in-depth betting preview of the 2018/2019 La Liga season with a focus on the outright, relegation and top goalscorer markets and pens his best bets. Last season, Barcelona romped to the title in impressive fashion, winning by a total margin of 14 points. Will we see another noncompetitive race this time round? When it comes to La Liga there’s only ever two- or maybe three- teams that you would think could win the league. Barcelona and Real Madrid are generally the only two contenders for the title, whilst Atlético Madrid also try to get stuck in ever since winning the league back in 2014. Barça are currently 8/11 to retain their title, something that’s hardly surprising. The Catalan giants have offloaded some deadweight in Deulofeu and surprisingly Paulinho, who moved back to China on loan, as well as finally letting Iniesta go to Japan as the World Cup champion nears the end of his career. On the flip side, Barcelona have brought in Arthur from Grêmio and Clément Lenglet from Sevilla, with both players looking like long-term replacements for Iniesta and Piqué. Barcelona will also be welcoming back several players who played part in successful World Cup campaigns, such as Samuel Umtiti for France, Thomas Vermaelen for Belgium or Ivan Rakitić for Croatia. Ernesto Valverde is unlikely to change his team’s style of play. His first season saw him bring Leo Messi back to his all-time best, virtually carrying his team to a double trophy season, a season that would have been perfect had they not been knocked out by Roma in the Champions League. Speaking of Champions League, Real Madrid are currently second favourites to win the league at 11/8, and despite some very unexpected moves by President Florentino Pérez, Los Blancos still seem to be the real deal. Signing Julen Lopetegui days before the World Cup started was a cheeky move, and it ultimately messed up Spain’s chances of doing well in the tournament. The sale of Ronaldo also came as a shock to the footballing world, but his departure might do the club some good and allow other players- such as Gareth Bale or Marco Asensio- to slowly creep into the spotlight. However, Real Madrid have yet to sign a “big name” player as they tend to do after major tournaments, so only time will tell. Next up is Atlético Madrid, the other big club from Spain’s capital. There’s a real sense of being able to accomplish something this season lurking around the club. The World Cup has brought many faces into the front row. In amongst them sits Antoine Griezmann, fresh out of France’s World Cup winning squad. He undoubtedly played a role in the signing of fellow French international Thomas Lemar, who was rumoured to sign for a number of Premier League clubs. Simeone’s team could finally have the season they’ve been dreaming for during the last few years, and it’s worth taking a risk with Atleti, who are currently priced at 10/1 to win the league. Valencia, Sevilla, Villarreal and Real Betis are the teams that no one would back to win the league, but no one would be that surprised if they did so. Valencia, who are currently priced at 100/1, have a very slim chance of pulling it off. However, Marcelino proved last year that his side is capable of competing with the other big names in the division, leading them to 4th place and qualifying for the Champions League for the first time in over three seasons. They’ve had to sign a few players more than usual due to the fact they’ll be playing three tournaments this season, but they could well replicate their form once again and do well in the other tournaments. Despite finishing much lower than Los Ché, Sevilla are priced at 150/1 to win the league. The appointment of Pablo Machín has brought a breath of fresh air to the club after their turbulent and rather crazy end to their season, in which they had up to 3 different managers throughout the course of it. The ex-Girona boss did a magnificent job with the Catalan side in their debut season in La Liga, and the board at Sevilla felt like he was the right man for the job. Villarreal currently stand at 250/1 to win the league, which is beginning to look like a long-shot. Javier Calleja did brilliantly last season, steering his side to a 5th place finish and not too far off of the Champions League spot. However, they’ll be playing in the Europa League, and the arrival of players such as Santi Cazorla, Funes Mori or Gerard Moreno could provide a boost for the club that will enable them to fight for an even better league position than last year. The last dark horse is Real Betis, who exceeded all expectations and finished 6th above their city rivals Sevilla. Naturally they’re priced at 500/1 to win the league, nd for good reason. Quique Setién did a wonderful job at securing Europa League football for the club, and with reinforcements coming in the shape of William Carvalho, Sidnei, Sergio Canales or Takashi Inui- who had an immense World Cup with Japan- they could do really well in Europe, but the question is whether they can maintain their brilliant league performances from last season. Athletic Bilbao are a historical club and are one of the pillars of Spanish football. As well as being one of the three teams to have never been relegated, the club are one of the best ones. After having a couple of underwhelming seasons, the Basque side have given Eduardo Berizzo the job in the hope he steadies the ship. Athletic are currently priced 9/1 to finish in the top four, and their new manager could be what they need to return to Spain’s elite club. Real Sociedad, much like Athletic Bilbao, are one of Spain’s “classic” clubs. 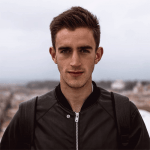 After losing their star right-back Álvaro Odriozola to Real Madrid, the club have brought in Joseba Zladua to replace him. After finishing 12th last season, Eusebio Sacristán left the club and was replaced by Asier Garitano, who came from a 5-year spell at Leganés in which he took the Madrid side from the lower division all the way to the top in a mere 3 seasons. A top 4 finish seems unlikely, and they’re currently priced at 11/2 to do so. Girona find themselves in a weird situation. They’re currently priced at 25/1 to finish in the top 4 and given their form at the end of last season there’s no reason to believe they can’t better their performance. Unfortunately for the club, the loss of their manager Pablo Machín to Sevilla could prove to be vital, seeing as he orchestrated their promotion in the first place. The last non-struggling team will most likely be Celta de Vigo, but their top 4 finish is priced at 14/1. Their 13th place finish under ex-Barcelona assistant coach Jose Carlos Unzué was not enough for the safety of his job, and has thus been replaced by Antonio Mohamed, whose sole European experience came from his time as a player whilst representing Fiorentina. As a manager he’s won two league titles with Mexican sides Tijuana and Club América, so the decision to appoint him is certainly a risky one. However, the Argentine has stated that his purpose is to make the fans dream once again of playing European football, so we can only wait and see if that’s the case. The most likely scenario is that these 9 teams will all be facing a relegation battle by the end of the season, so it will be interesting to see just who can survive it. The 3 most unlikely teams of the 9 to be relegated, according to the bookies, are Getafe, Espanyol and Eibar. The other 6 are Leganés, Rayo Vallecano, Deportivo Alavés, Levante, Valladolid and Huesca. Getafe enjoyed a brilliant season last year as their first time back in La Liga since being demoted the season before that. With José Bordalás at the helm of the team- who did an okay job at Alavés put played a little too much with fire- the Madrid based club should fight for mid-table mediocraty, and with the arrival of players such as Ignasi Miquel from Málaga or Nemanja Maksimović from Valencia, the club shouldn’t struggle too much, especially at 6/1. Espanyol have it a little bit harder this season after the departure of their manager Quique Sánchez Flores. Despite not doing as well as he’d hoped at Watford, the Spaniard returned to Espanyol and led them to safety at the end of this season but was then sacked regardless. Currently priced at 5/1 to go down, the club has lost a lot of key players over the summer, including their star striker Gerrard Moreno to Villarreal, Carlos Sánchez- who returned to Fiorentina after his loan spell and his transfer to West Ham- or their main goalkeeper Pau López. In other news, they managed to retain the services of Sergi Darder from Lyon, so the central midfielder could bring solidity back to the team if they’re to fight for survival. Eibar have had a miraculous rise to Spain’s top flight was a fairytale – but now it’s a constant reality and a reminder that they are where they are and they must do everything they can to maintain their status in the league. Due to their relatively small size, Eibar haven’t done that much business in the transfer window other than to cover their losses, like the departure of Takashi Inui to Real Betis of Ander Capa to Athletic Bilbao. At 5/1 it seems very unlikely that the Basque club will be relegated. It could be a difficult season for Leganés, as the fairytale magic begins to disappear and reality starts to set in for good- much like Eibar. It was only three years ago that the club were in Spain’s 3rd division, but thanks to their outstanding financial management they’ve made it to the top. The club have taken a huge gamble appointing Argentine manager Mauricio Pellegrino, whose time at Southampton didn’t end all too well after nearly dragging them to the Championship, and at 5/2 it’s beginning to look like a real possibility. Under the management of Míchel, Rayo Vallecano were promoted at the end of last season after winning the second division. Now that they’re back in La Liga again, the club has done really well to bring in plenty of players- such as Jordi Amat from Swansea or Álvaro Medrán from Valencia- to ensure the depth they need to survive in the league is there, and at 9/4 it’s a bit puzzling as to why the price is so low. Deportivo Alavés really dodged the bullet last season after the appointment of Abelardo. The manager single-handedly took the club from bottom position and steered them away from the relegation zone in a matter of weeks. However, this time around the bookies don’t see as it being as easy this season, and they have priced Alavés to go down at 5/2- even with the signings of John Guidetti, Borja Bastón or Tomás Pina. Levante were also in the midst of a relegation battle of their own if it wasn’t for manager Paco López, who took over as main manager in March. López also managed to end Barcelona’s unbeaten run of games at the end of the season after a thrilling 5-4 victory over the Catalans. Curently priced at 15/8 to go down, Levante still have a lot of work to do if they’re to avoid relegation this season. Real Valladolid return to Spain’s top flight after a 4-year absence. The club managed to gain promotion after beating both Sporting Gijón and Numancia in the play-offs to confirm their return. Now priced at 6/4 to go down, it’s easy to see why Real Valladolid would be an easy option to bet on- but they’re a “classic” club in Spanish football and they most certainly won’t go down without a fight, and their fans know it. Sergio González led them to promotion, but only time will tell if he’s capable enough of keeping the, up this season. Newcomers Huesca are the hot-favourites to be relegated this season, and at 8/13 it’s no surprise why: this is this first ever season in the Spanish top flight in their nearly 60-year history. Leo Franco starts his managerial career after enjoying his time as a professional footballer, but his appointment isn’t convincing enough to most fans, but the club have made some decent signings in Samuele Longo from Inter Milan or goalkeeper Alex Werner from Atlético Madrid. The departure of both Cristiano Ronaldo and Zinedine Zidane from the club has weakened Real Madrid’s title hopes, as well as the fact Los Blancos have failed to sign a “big name” so far. Other than Courtois- who will more than pose a threat to Keylor Navas- Florentino Pérez has failed to make any real signings capable of filling Ronaldo’s boots. Barcelona’s case is the complete opposite: the Catalan giants have sign some brilliant players in this window, and even though the departure of Iniesta will leave a massive hole at the club, there’s no team capable of stopping Messi & Co, who are at 8/11 to retain their title. The battle for the Spanish Golden Boot has been a two-horse race for nearly a decade now, but with Ronaldo gone and Messi slowly ageing and slowing down, the time for a new goalscoring machine is upon us. Diego Costa has been in good form since returning to Spanish football back in January, and the two goals he provided in the UEFA Super Cup could be sign of things to come, and with Atlético looking stronger than ever they need a prolific striker capable of scoring the necessary goals. Costa is currently 18/1 to become the top goalscorer.